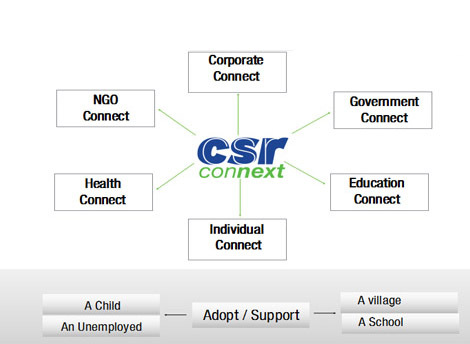 CSR Connext acts as a bridge to enable corporate, NGO’s and individuals to connect with each other and utilize their strengths for a positive change. Our focus is to develop innovative and sustainable solutions for immediate and emerging social issues. At CSR Connext, we undertake the role of "corporate citizenship" and ensure the business values are aligned with the intention to help in making a better society.